Our most recent ISI (Independent Schools Inspectorate) Regulatory Compliance Inspection took place in September 2018. We are delighted that the inspectors concluded that Derby High School met all the DfE standards; it is no insubstantial achievement to pass through the rigorous process in its entirety and we are very pleased indeed to have had such a positive outcome. The full report for our Regulatory Compliance Inspection can be viewed or downloaded by clicking here. Our most recent ISI Integrated Inspection took place during the Autumn Term of 2015. 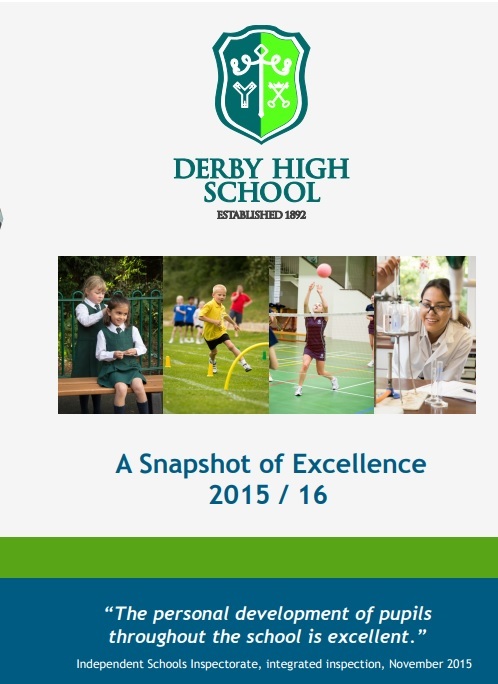 Please click on the image below for Highlights of our 2015 ISI Inspection Report. Please click here to view or download a full copy of our 2015 ISI Inspection Report.